Special CARD conference room rate of $150. * per night. Make sure you tell them you are with the CARD Conference to get the rate. The room block will fill quickly. This price is valid until the block is full, whichever comes first. Both, self-parking and valet parking are available at the Florida Hotel. 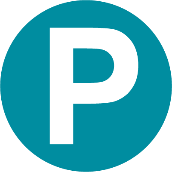 Self-parking is free to Conference participants and you may be provided a gated access to a private lot if staying at the hotel. Valet parking services are currently charged at $20 per vehicle per day. 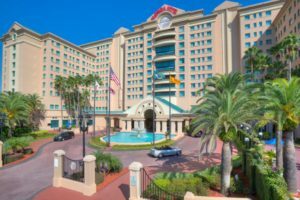 For participants staying at the Florida Hotel and Conference Center, charges will be added to the individual’s room account. Payment for participants not staying at the hotel can be made in cash to the parking attendant. Orlando International Airport services several airlines. Driving time to or from the airport to the Florida Hotel is approximately 15-20 minutesTake the North airport exit and follow signs to the Beachline Expressway (State Road 528) west go through the first tollbooth, then take the second exit onto State Road 482 (McCoy Road). At this point this road is called McCoy Road, but the name changes to Sand Lake Road once you cross Orange Avenue. Stay on this road approximately 5 miles. At the third traffic light (Golden Sky Lane), turn left into The Florida Mall. Then follow signs to the hotel. There is Valet Parking available for a nominal charge or complimentary self-parking. From I-4, take exit #80, Orange Blossom Trail (US 441-17-92). The exit ramp will merge with south bound traffic on Orange Blossom Trail. Continue south for approximately 5 miles. Go through the intersection at Sand Lake Road (SR 482), continue to the second light (Sun Life Path) and turn left into the Florida Mall. Continue straight, then follow signs to the hotel. From Florida Turnpike North or South From the Florida Turnpike, take exit #254, Orange Blossom Trail (US 441-17-92). Follow signs for “North-East 441.” Continue straight on Orange Blossom Trail to the third light (Sun Life Path) and turn right into the Florida Mall. Continue straight, then follow signs to the hotel.